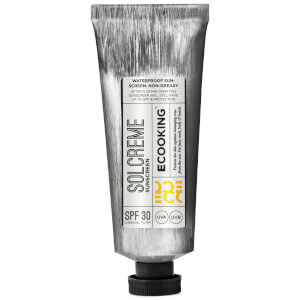 Experience the ultimate in sun protection with Ecooking Sunscreen SPF 30; a waterproof, fast-absorbing formula to shield skin from damaging UVA/UVB rays. 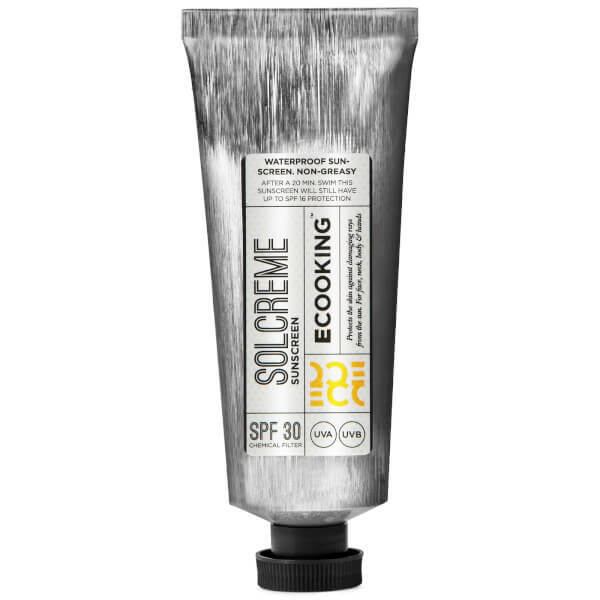 Utilising medium-high UV filters, the lightweight, non-greasy sunscreen penetrates quickly into the face and body to defend against sun damage, whilst Organic Aloe Vera and Cucumber Extract nourish, comfort and hydrate. No white film or sticky residue left on the skin. One handful of sunscreen for a full body which means that you need about 40ml for an adult and 20ml for a child. Alternately you can calculate in teaspoons. You will then need 1 teaspoon per arm and leg, 1 for the front of the body and 1 for the backside and 1 for face, neck and ears. The sunscreen needs time to have effect. Therefore, it is advised to apply 10-15 minutes before going out into the sun. When you have been in the water, been sweating or wiping yourself thoroughly with a towel, remember to always re-apply sunscreen to prevent sunburns. Remember also to re-apply during the day if you are spending time in the sun as the effect decreases as the day goes by. Aloe Barbadensis Leaf Extract*, Coco-Caprylate/Caprate**, Octocrylene, Ethylhexyl Methoxycinnamate, Glycerin*, Ethylhexyl Salicylate, Alcohol**, Butyl Methoxydibenzoylmethane, Propanediol**, Aqua**, Phenoxyethanol, Cetyl Alcohol, Polyurethane-62, Trideceth-6, Pseudoalteromonas Ferment Extract, Xanthan Gum**, Sodium Hydroxide, Cucumis Sativus Fruit Extract**, Parfum**, Caprylyl Glycol, Sodium Phytate**, Citric Acid**, Potassium Sorbate, Sodium Benzoate, Sodium Salicylate.